Fidget Spinner 101: What’s the Big To-Do? Summer is finally here, and that means it’s time to hit the water! Swimming is an important skill for children to learn, and sometimes it’s easier to get them into the water with a fun game or toy. Toys can be used for both recreational and educational purposes! Whether you are making a trip to the pool or taking it to the beach, here are the hottest water toys for kids making a splash this summer. What’s more relaxing than floating around catching some rays on a toasty summer day? Funky pool floats are coming in hot this summer and are some of the best water toys for kids. From larger-than-life swans, flamingos, and unicorns to gigantic slices of pizza, watermelon, and donuts, these colorful and fun floats make for the perfect summer photo op! 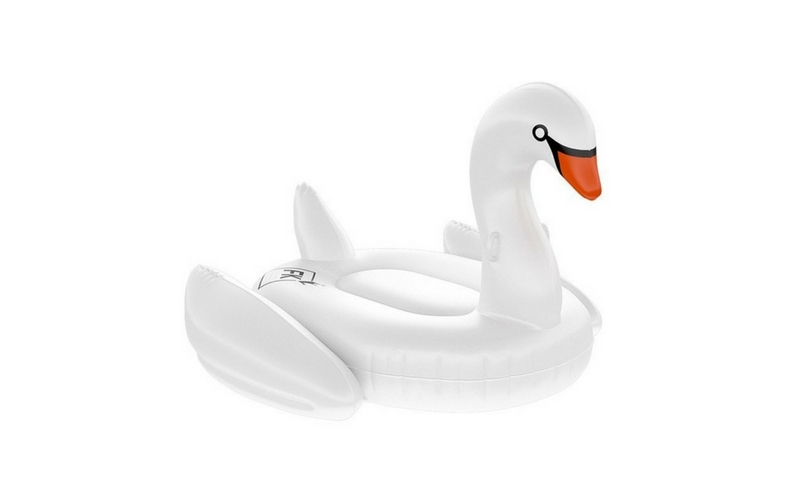 Available in most superstores, a whole range of reasonably priced floats can also be found here. Whether you’re teaching your little ones how to swim or just looking for a fun relay race, Swim Thru Rings are the ultimate test of aquatic agility! Inflate the air chambers decorated with turtles, fish, and other sea creatures to change underwater depth of the rings. These rings are collapsible and the perfect new toy to throw into your beach bag this summer! 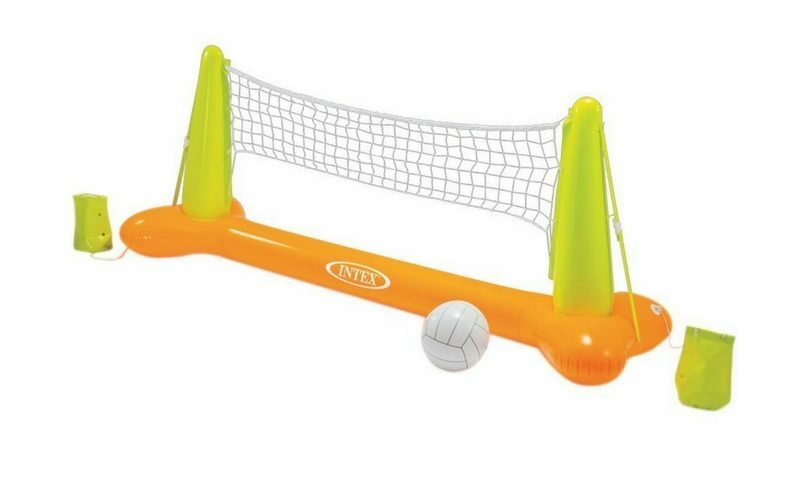 Spike your way into summer as you bring volleyball to the water! Complete with vinyl ball and inflatable poles with grommets to attach extra weights as necessary, the INTEX Floating Volleyball Game is easily deflatable for portability and storage. Cool off from the hot summer sun while getting your game on! This is surely one of the hottest water toys for kids. Who doesn’t love Nemo and the gang? The new Disney Finding Dory Mr. Ray’s Dive and Catch Game from SwimWays cleverly combines some of your child’s favorite characters with a fun game for the water. Toss the six pieces into the water, and have your children help Mr. Ray pick up Dory and her friends for a school field trip to the reefs! This set is not only fun, but it can be a great tool in swim training as it encourages kids to practice their skills as they play. A fun take on basketball… but for the water! Swimline’s Inflatable Giant Shootball pool toy comes with only one ball, but has many ports to allow multiple shooters, so there is space for friends and family! Practice your shot while splashing around in the water! A classic diving toy. Torpedoes rocket through the water, gliding up to 30 feet! This four-pack of 5” Toypedo Bandits from SwimWays are designed around the hydrodynamic complex principles of nuclear submarines! They are brightly-colored to ensure easy spotting in the water, and they also have point values of 10, 20, 30, and 40 for games and competition. Remember to be safe with these water toys for kids, and make sure your children don’t venture into the deep end unless they are good enough swimmers! Water toys are fun not only for kids, but the whole family!